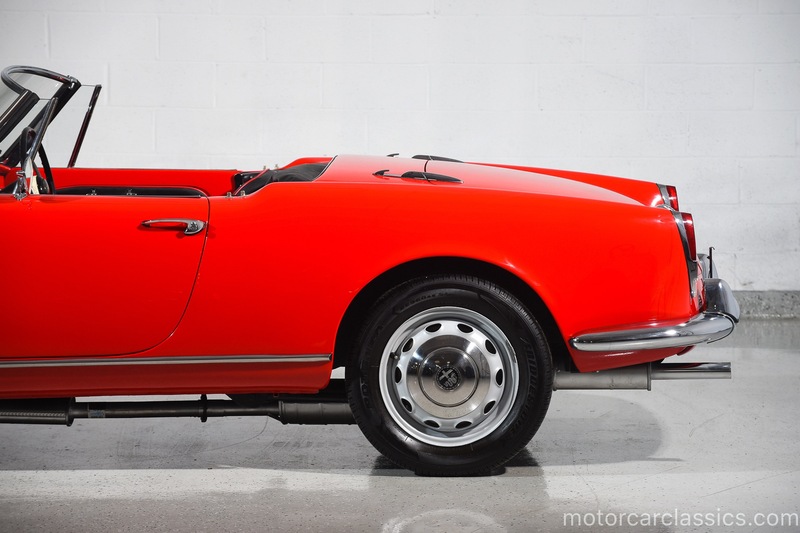 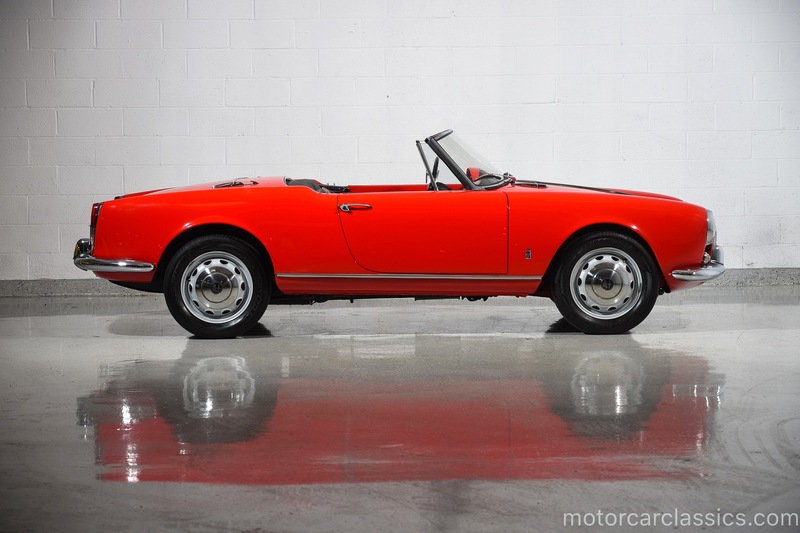 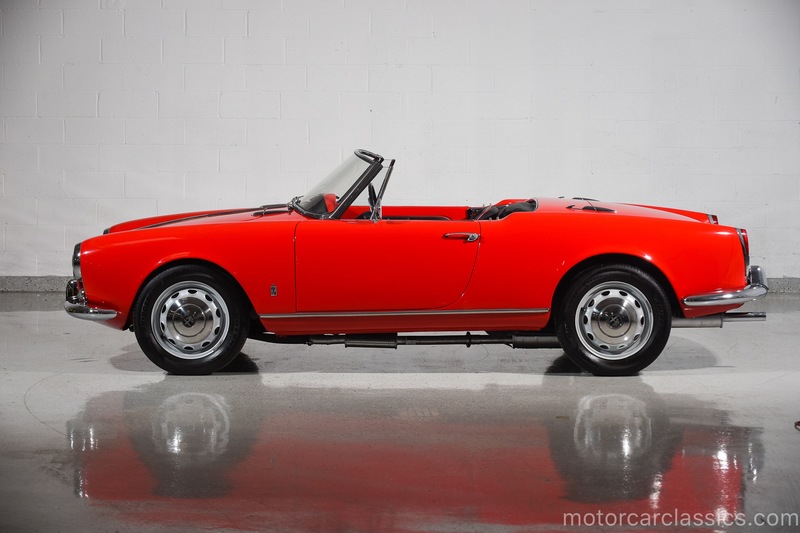 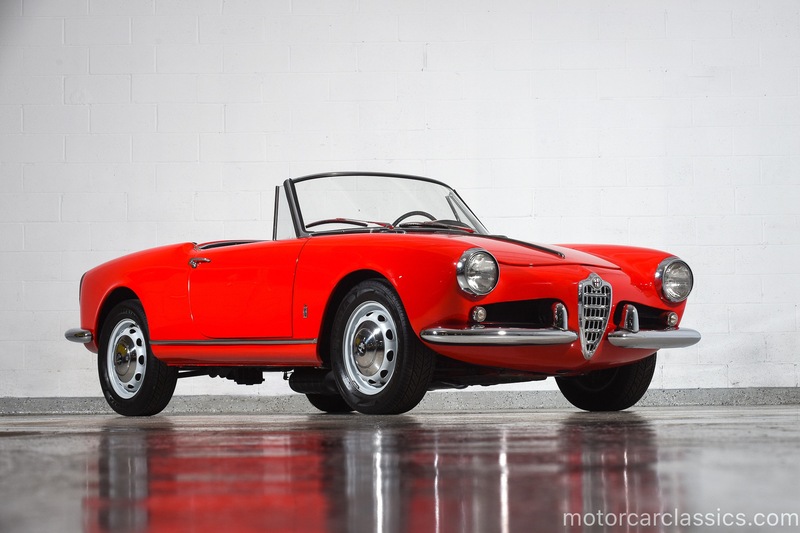 1962 ALFA ROMEO GIULIETTA SPIDER VELOCE for sale. 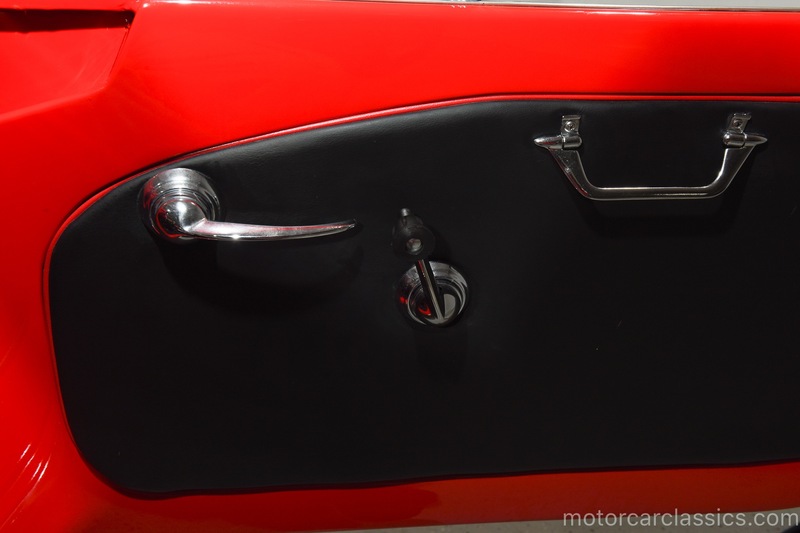 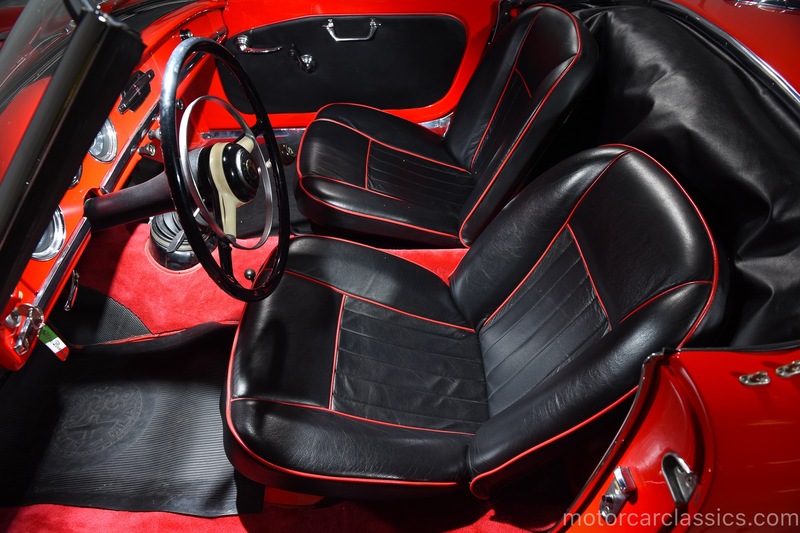 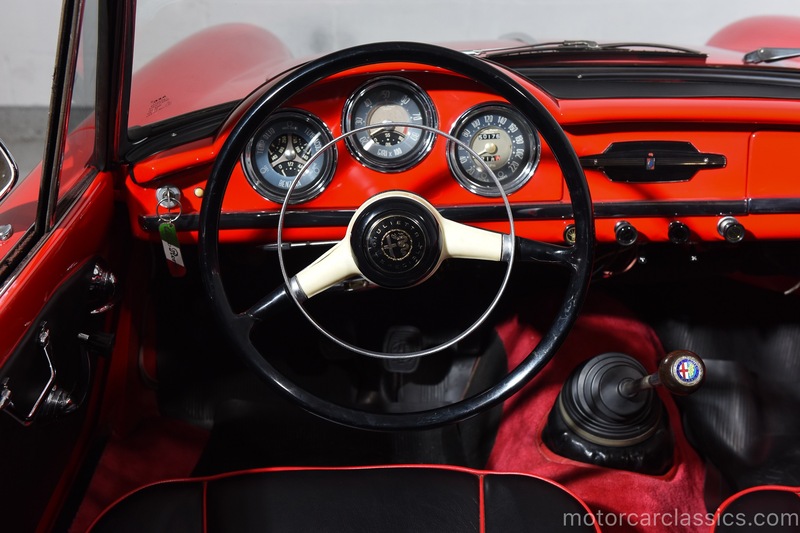 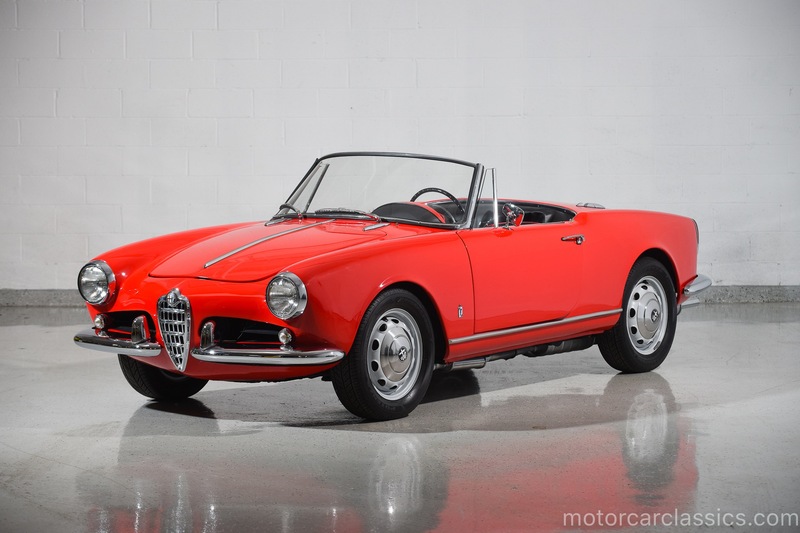 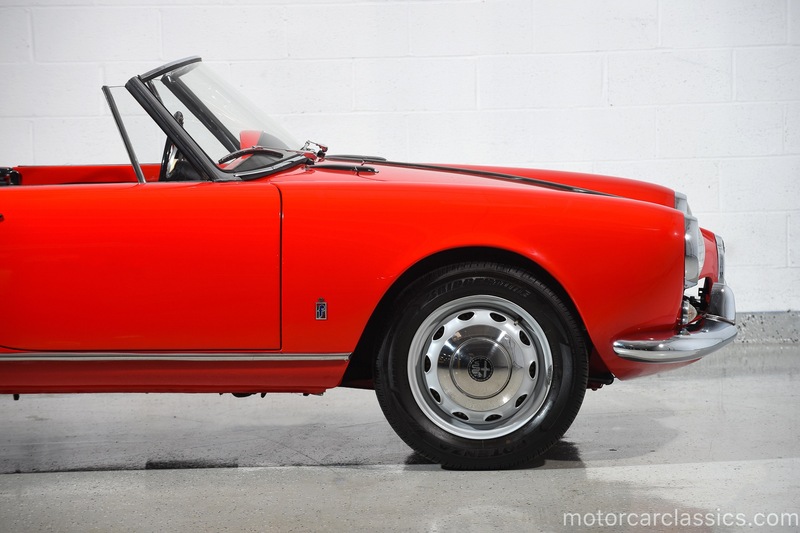 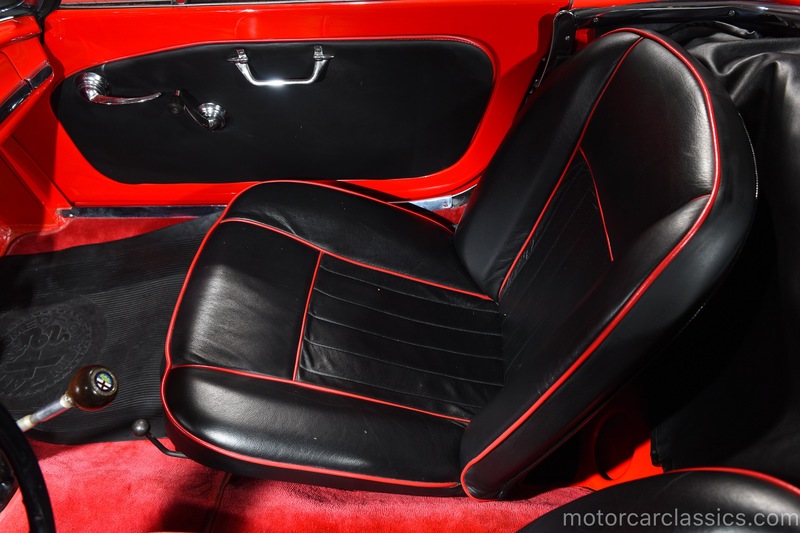 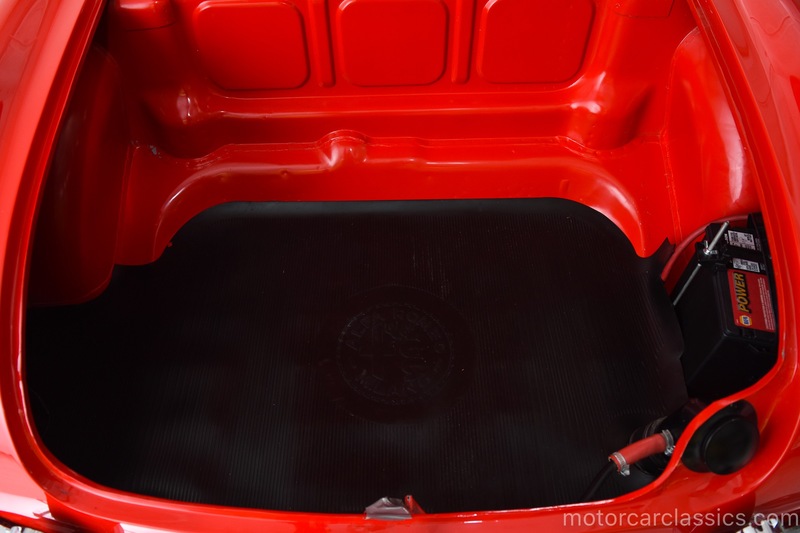 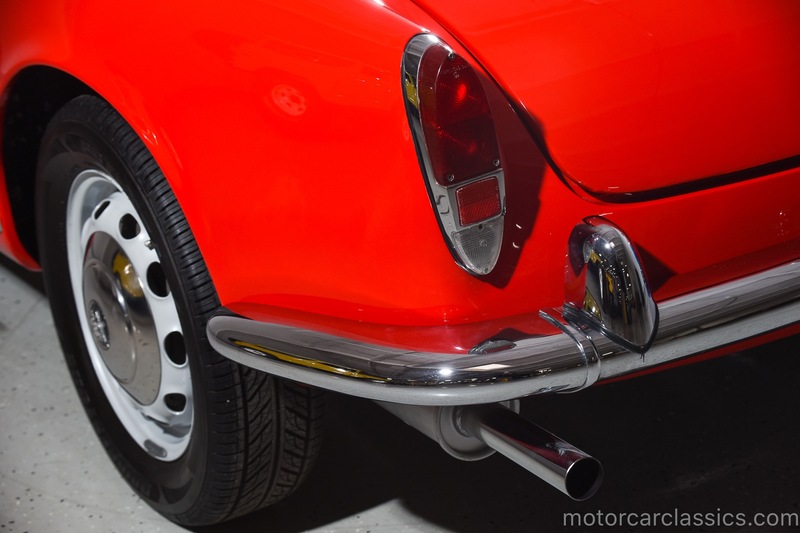 Motorcar Classics is pleased to present this charming 1962 Alfa Romeo Giulietta Spider Veloce featured in(KF18550) Cardinal Red with Black leather interior piped in Red. 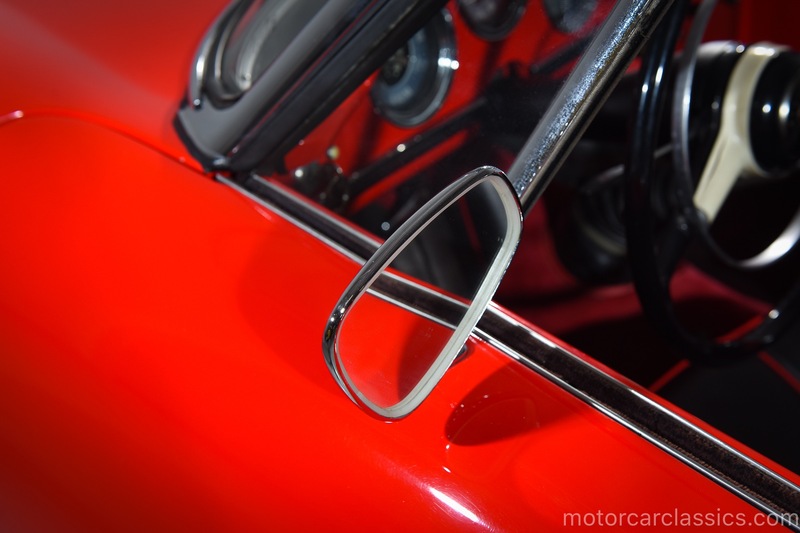 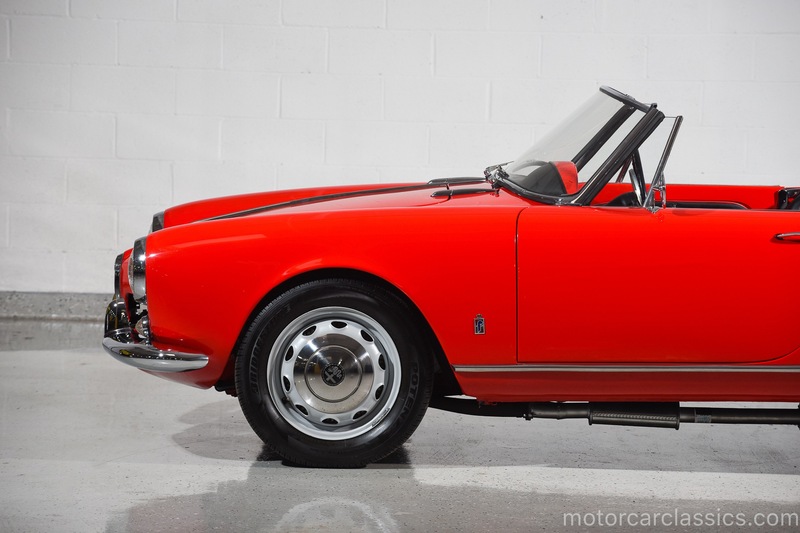 Designed by Pininfarina, the Spider has been hailed by many as one of the most appealing two-seaters of all time. 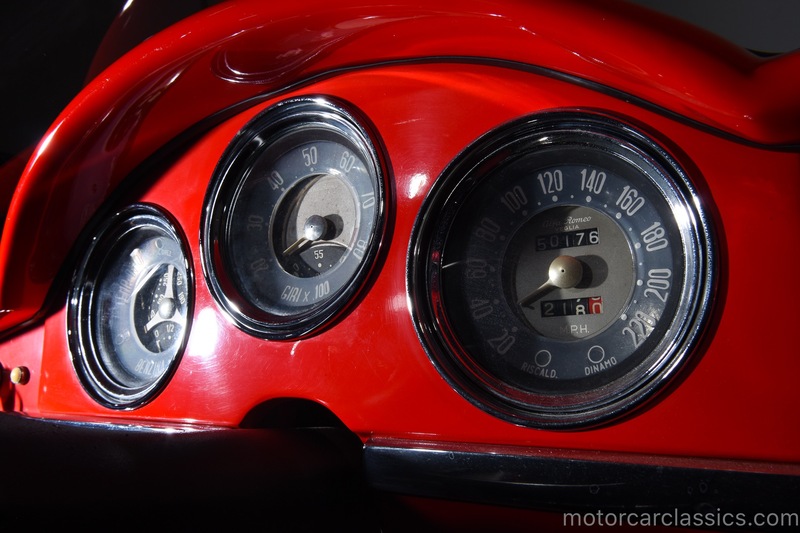 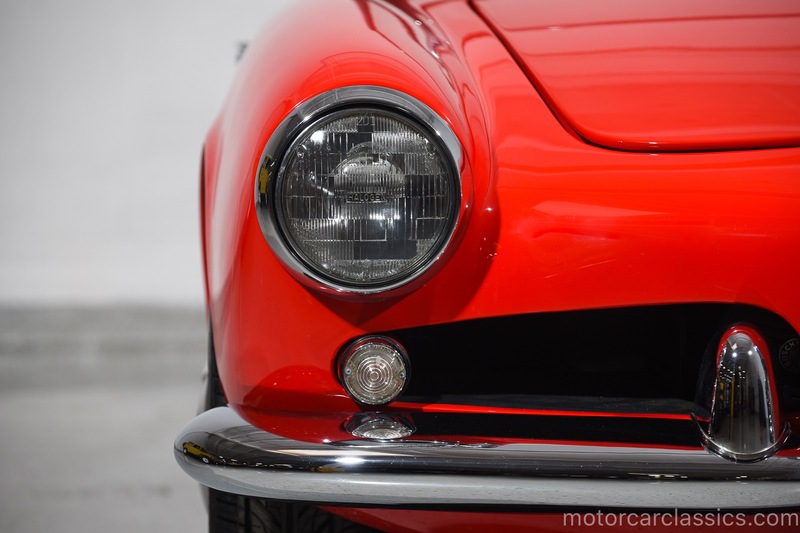 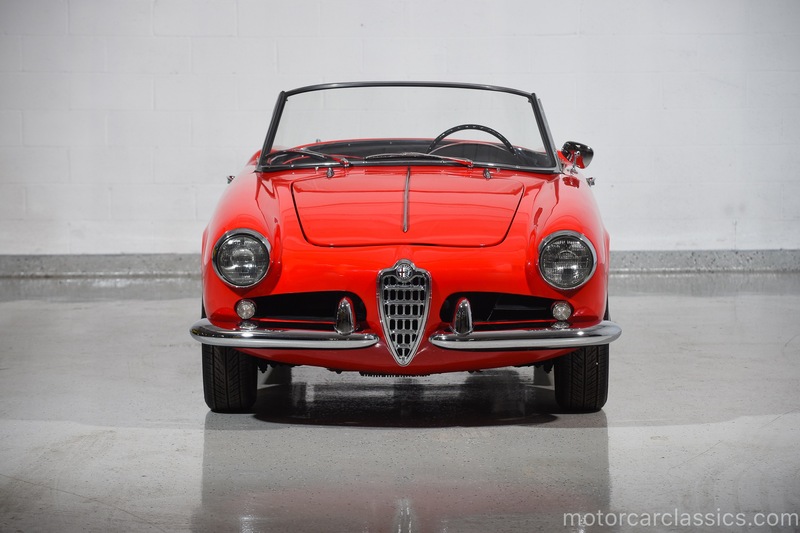 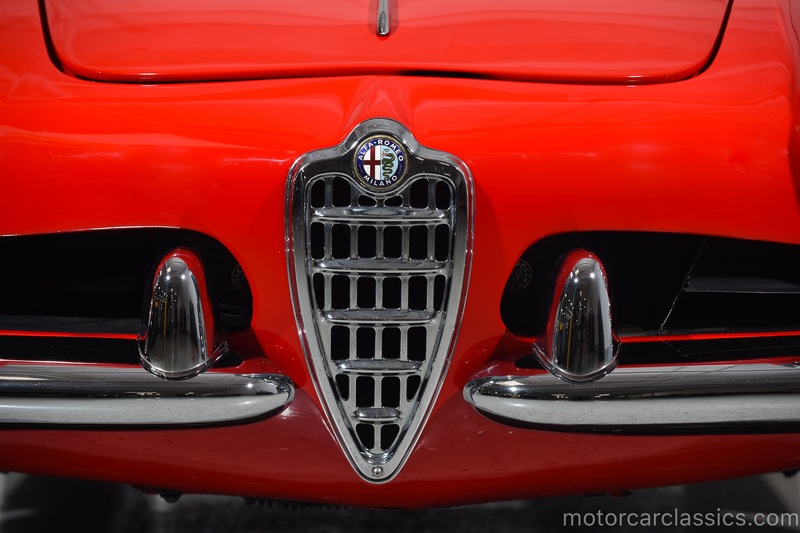 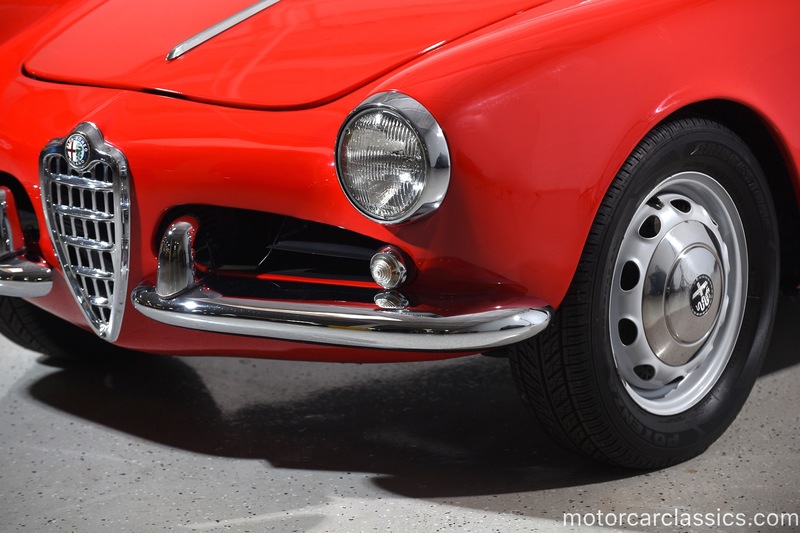 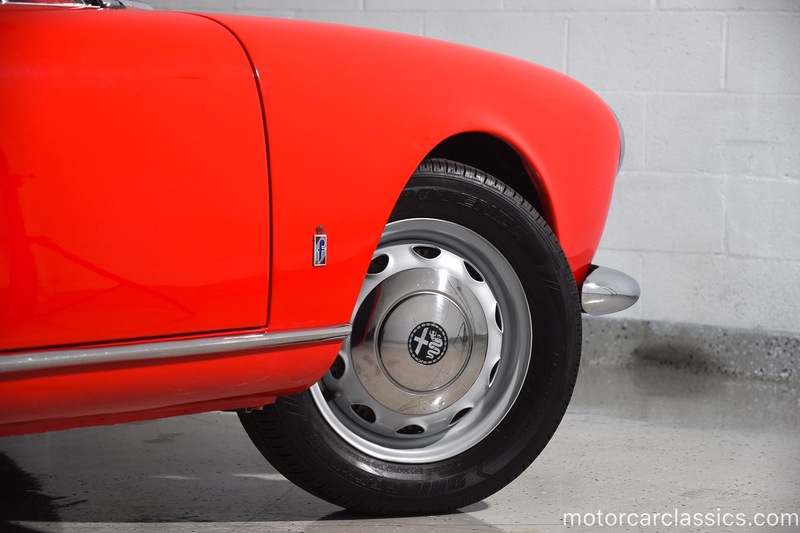 The Giulietta Spider was available in both Normale and Veloce (meaning fast) versions of Alfas 750-series 1290cc DOHC 4-cylinder motor with a 4-speed gearbox. 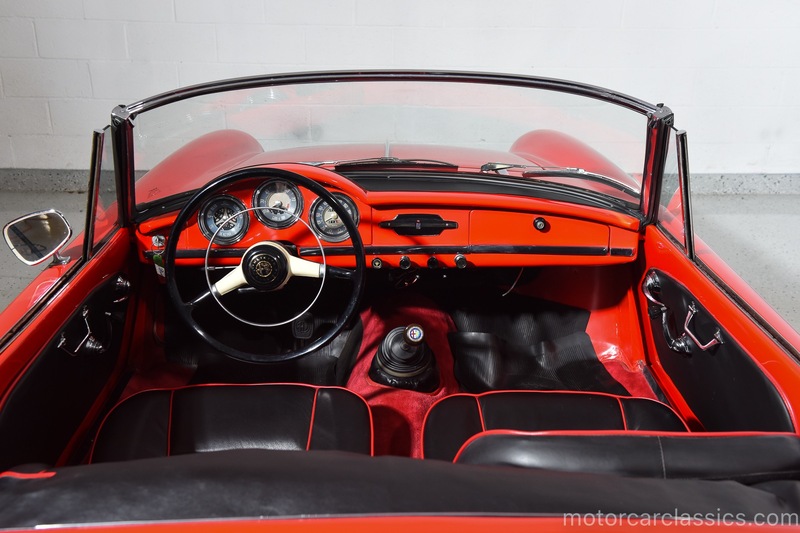 This car was built in the age of popular roadsters like MG, Triumph, Austin Healey and Porsche, from manufacturers in Europe and the UK. 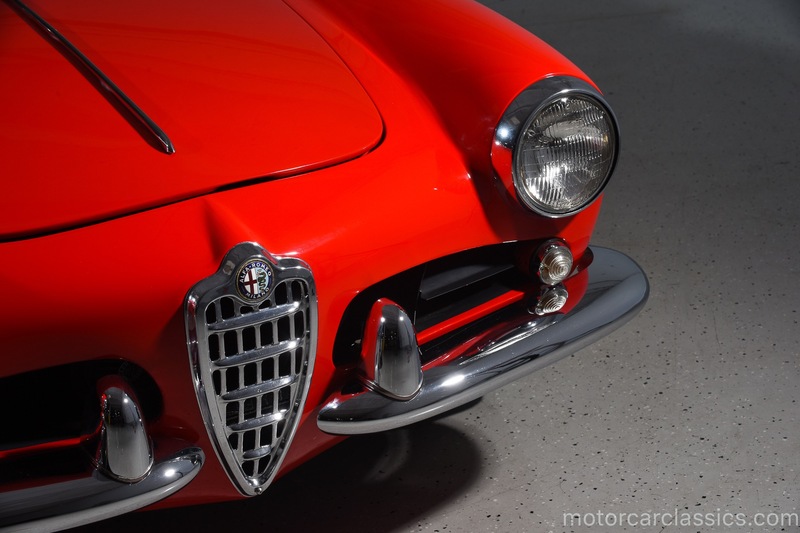 Many such open cars of this era have sporty looks, but few can match the charm and charisma of this jewel-like Alfa Romeo, nor its modern driving feel. 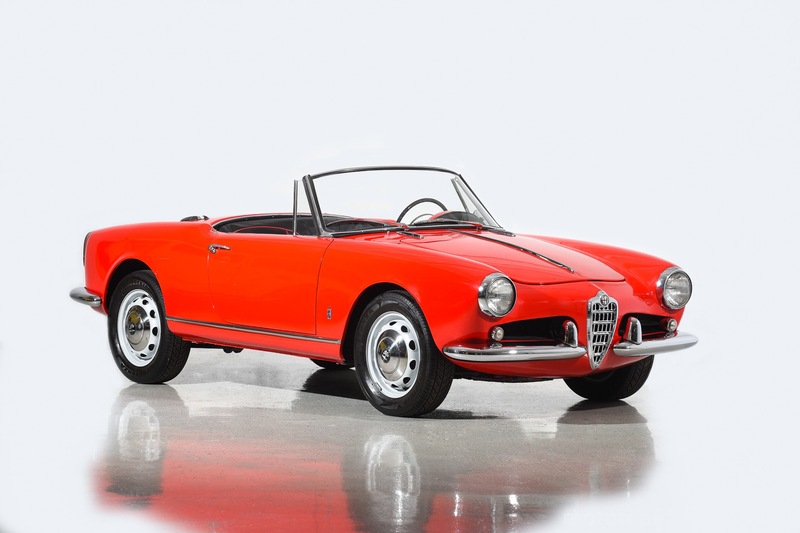 The Giulietta Spider is a very usable and collectible car, and, given its relative rarity compared to its peers, the Giulia Spider Veloce will surely be one of the automotive investment gems of the future. 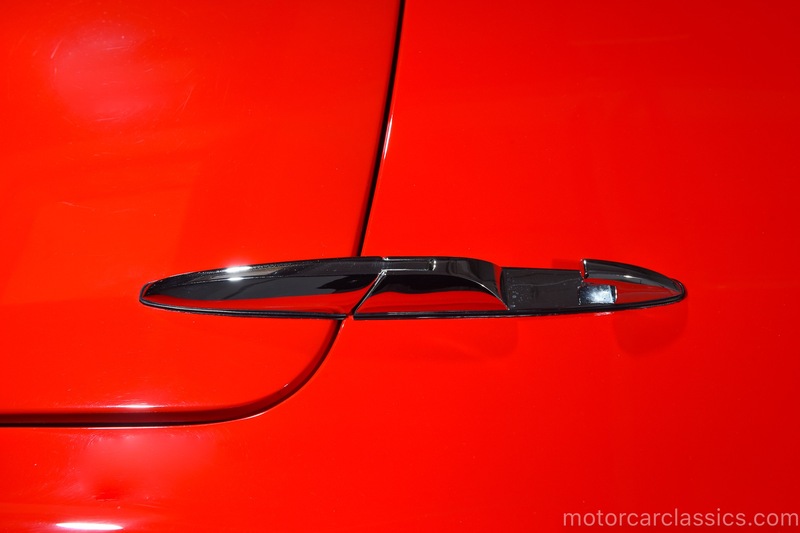 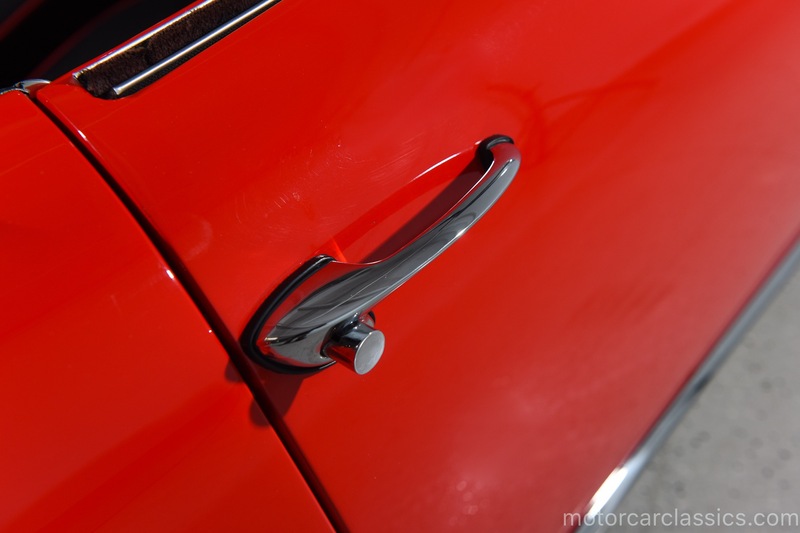 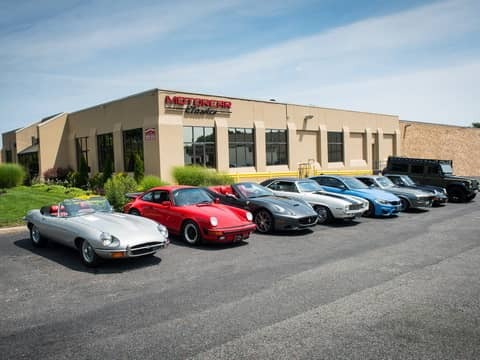 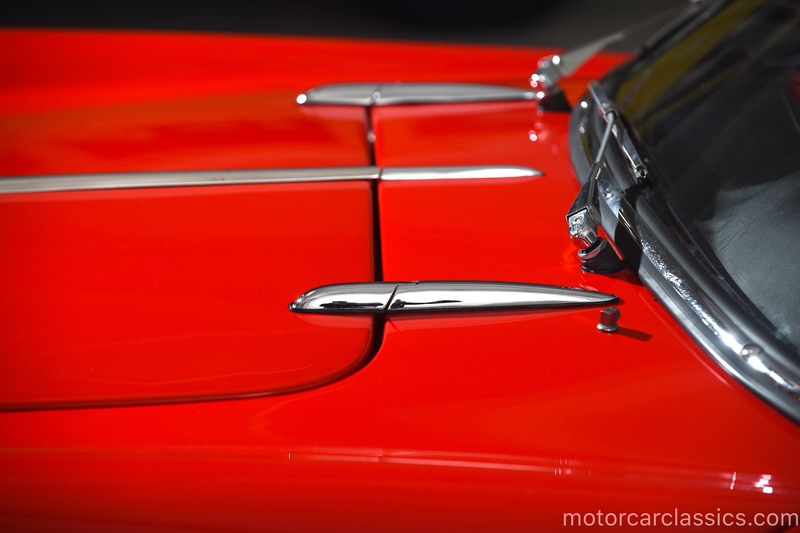 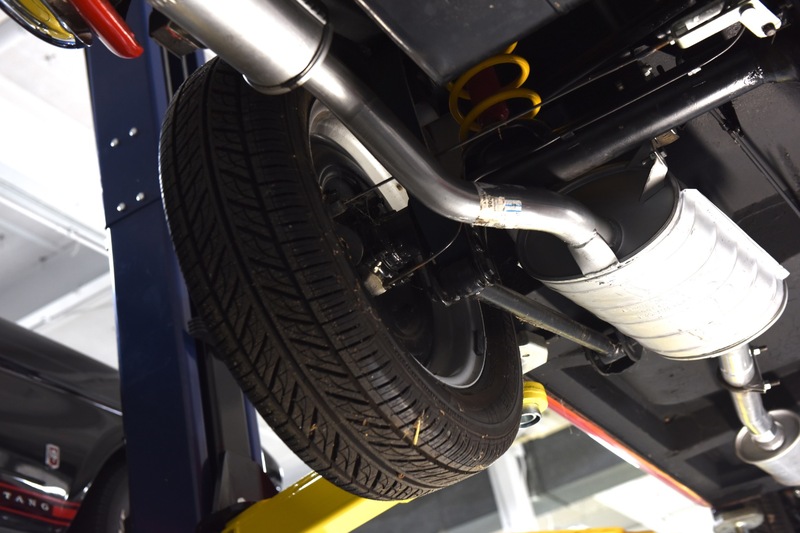 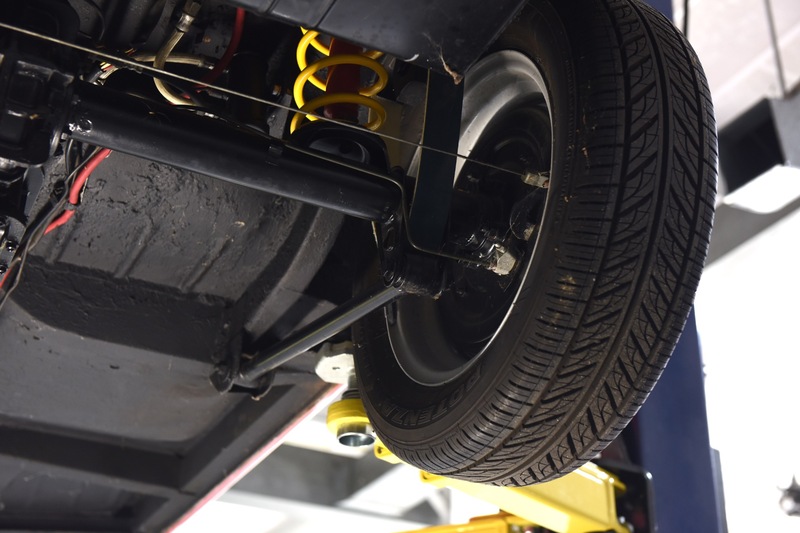 Our car comes to us from an enthusiast who owned the car since 1974. 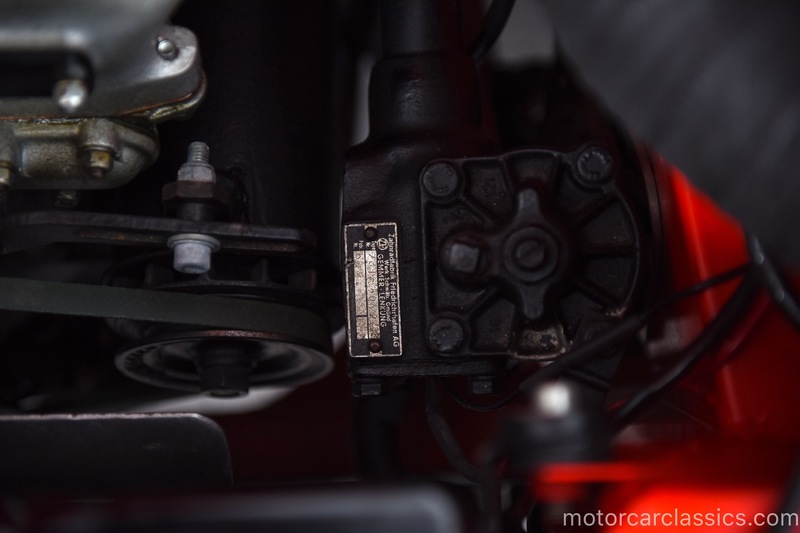 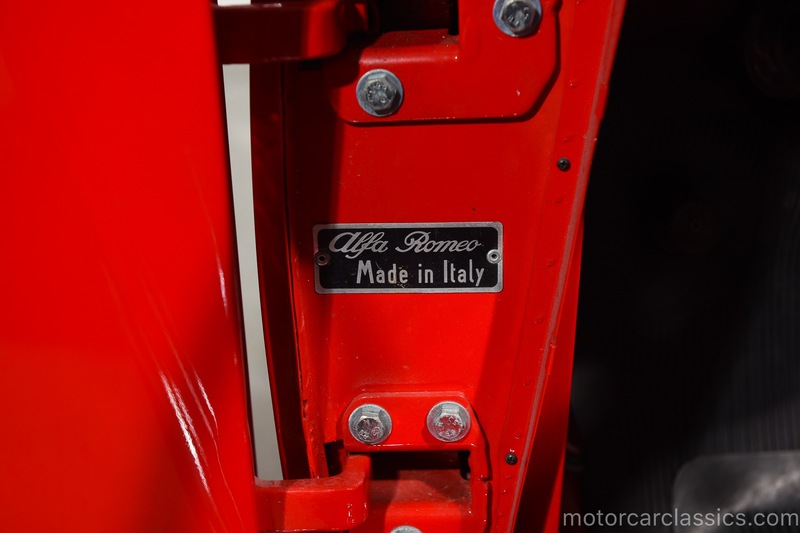 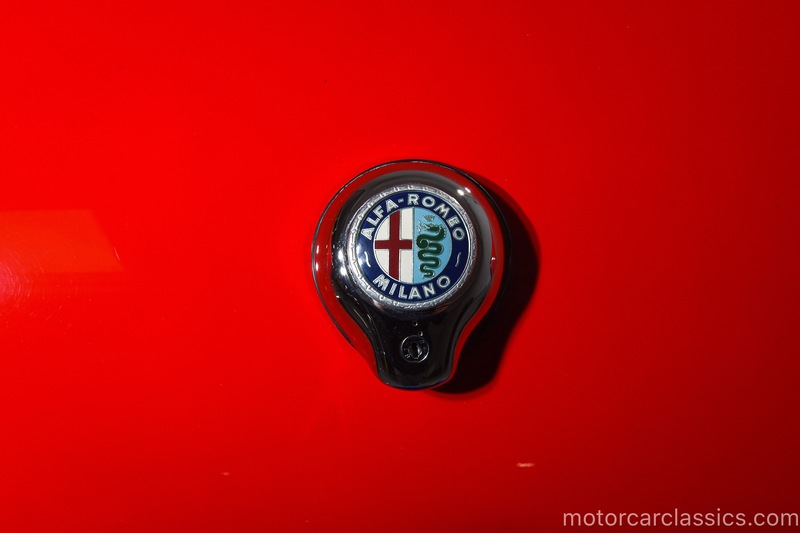 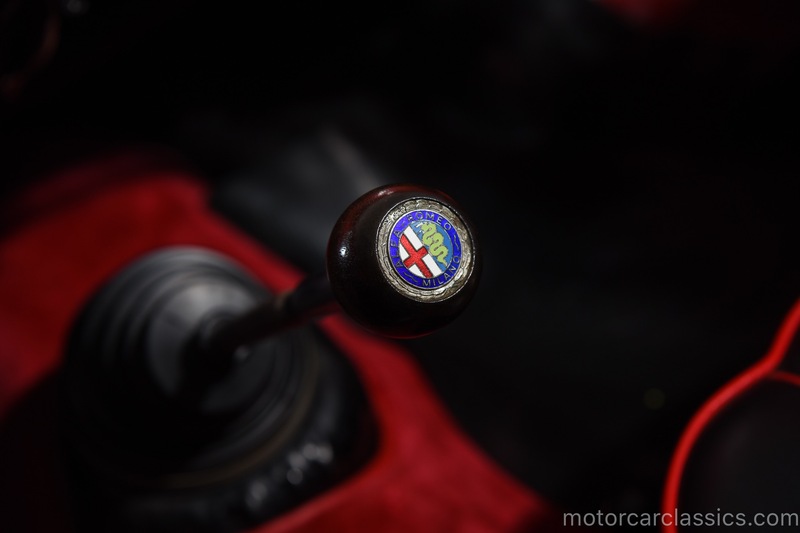 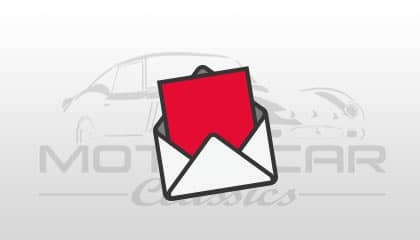 Correspondence with Alfa Romeo Automobilismo Storico Centro Direzionale confirms that chassis no. 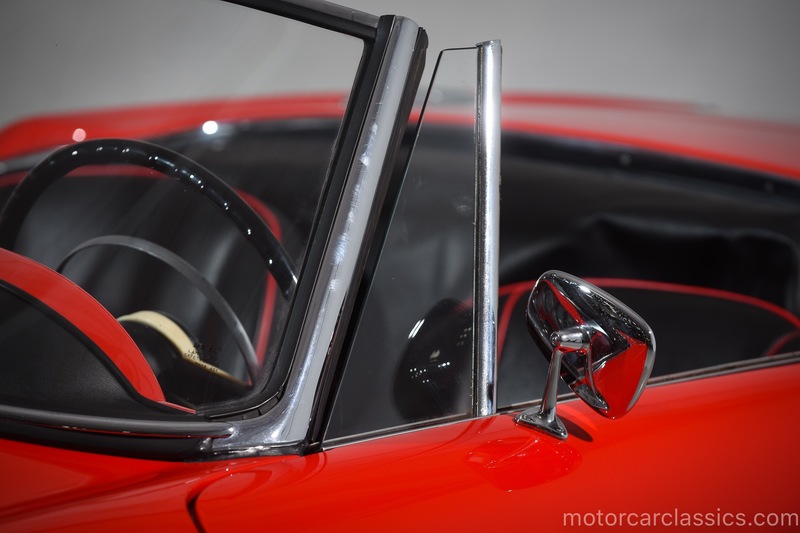 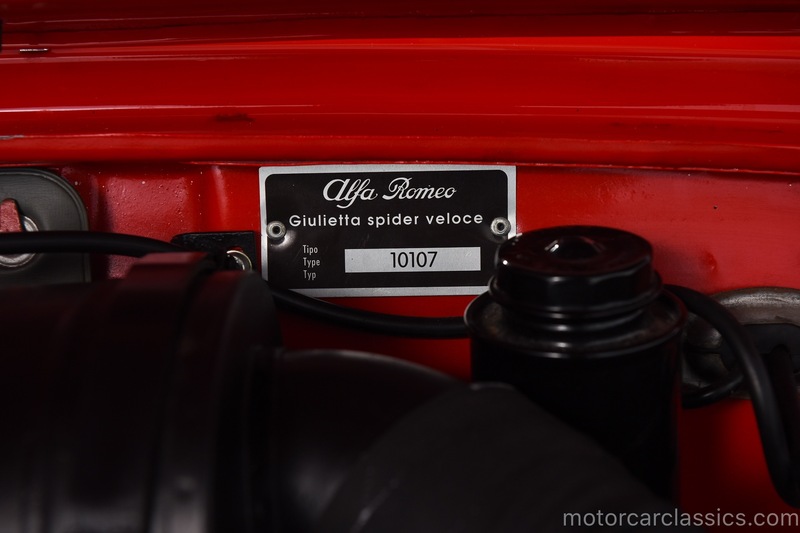 AR 171875 is original to an Alfa Romeo Giulietta Spider Veloce manufactured in red color on 9 January, 1962, and sold on 12 April, 1962 to Hoffman motor car Co., New york, NY, USA. 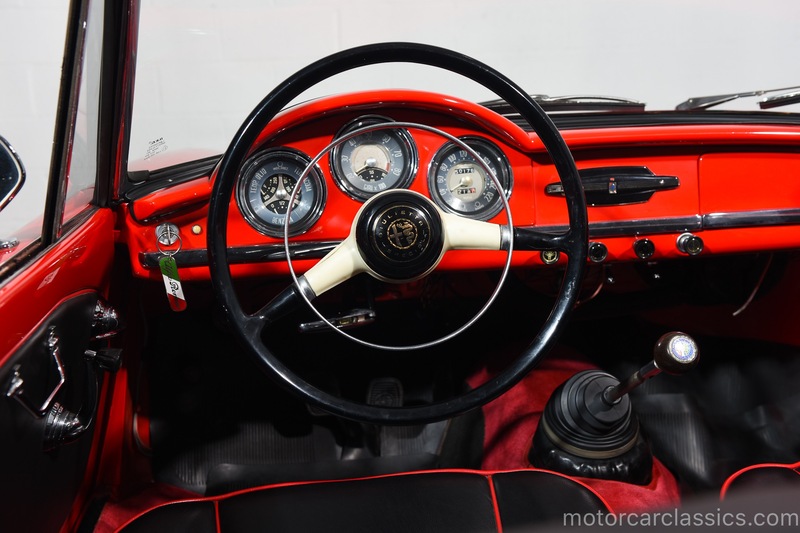 The car was fully restored circa 2008-09 with receipts in the file. 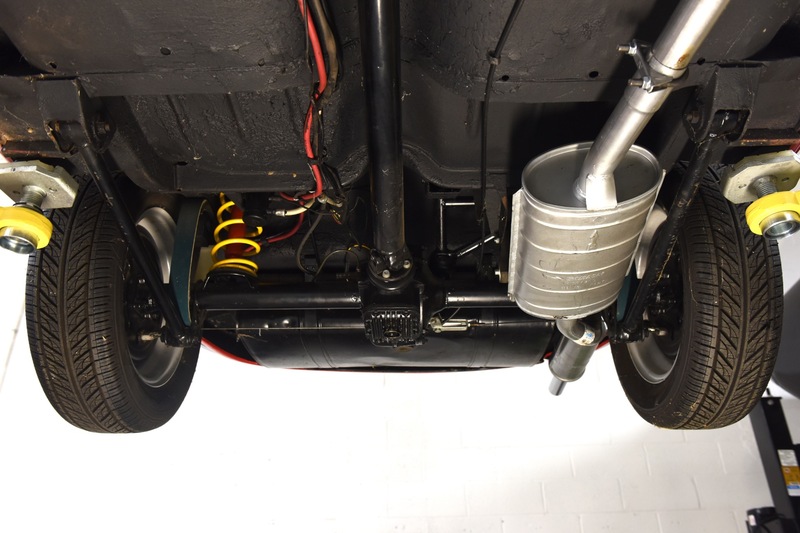 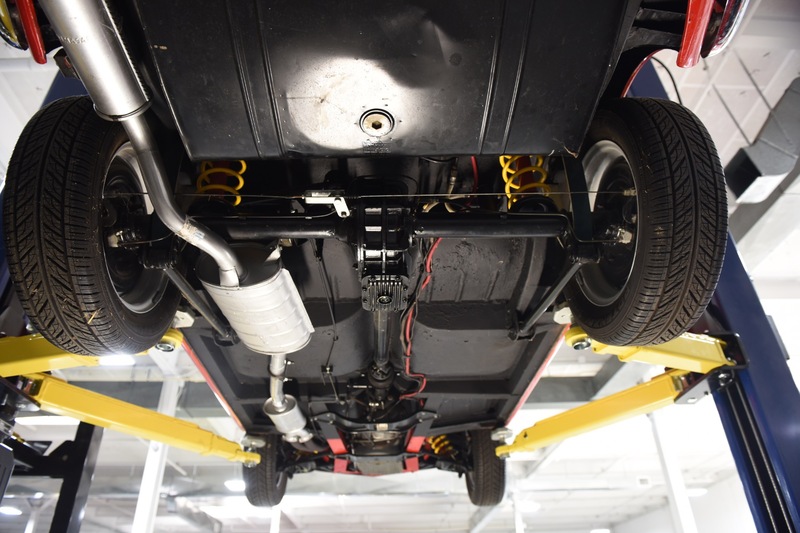 The suspension and brakes were rebuilt, the engine rebuilt, all new body gaskets and more. 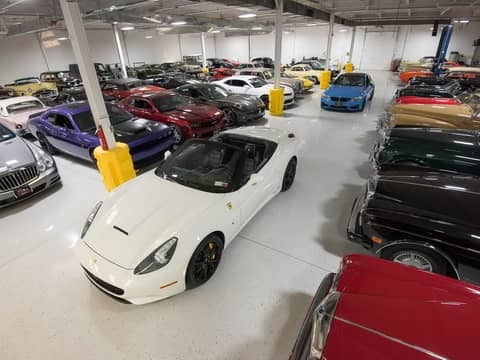 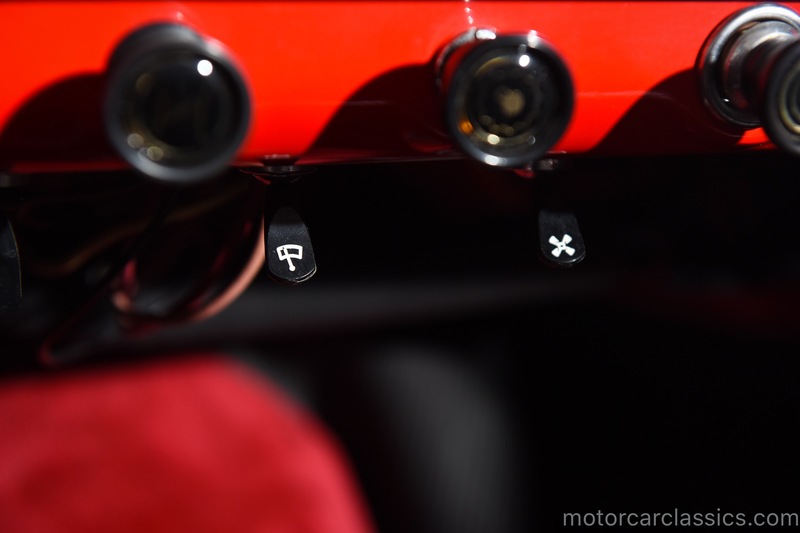 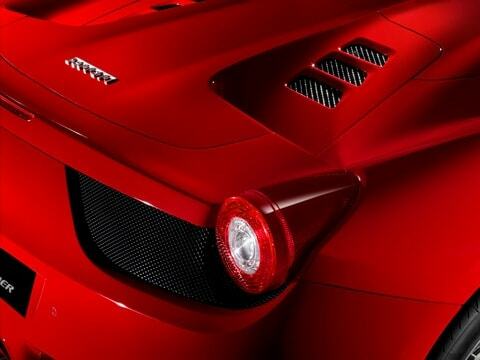 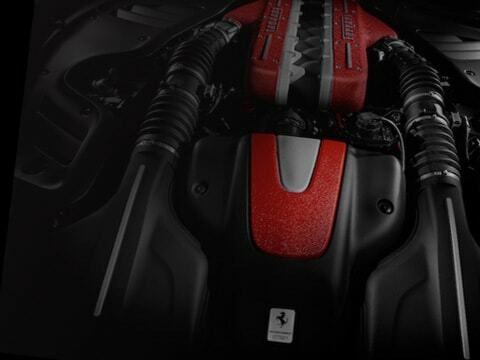 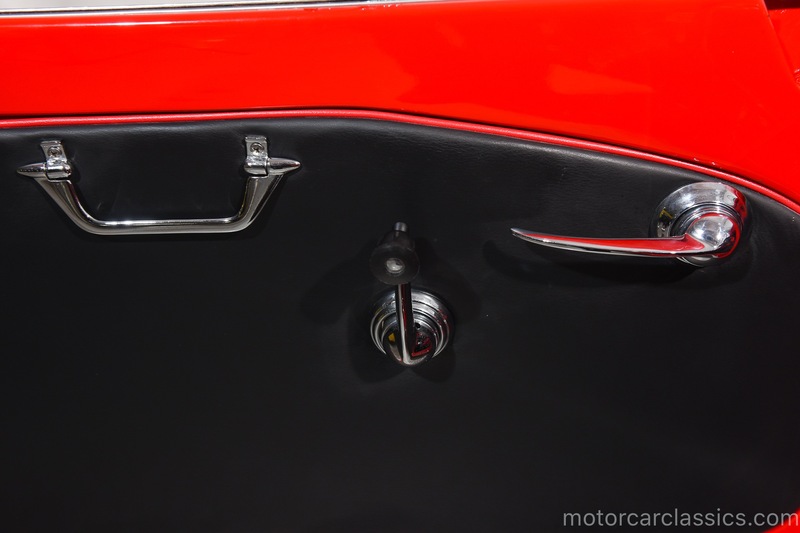 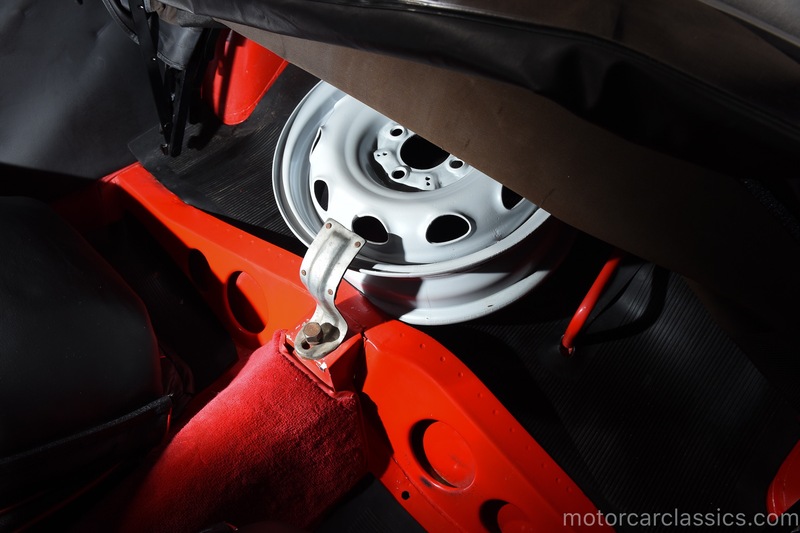 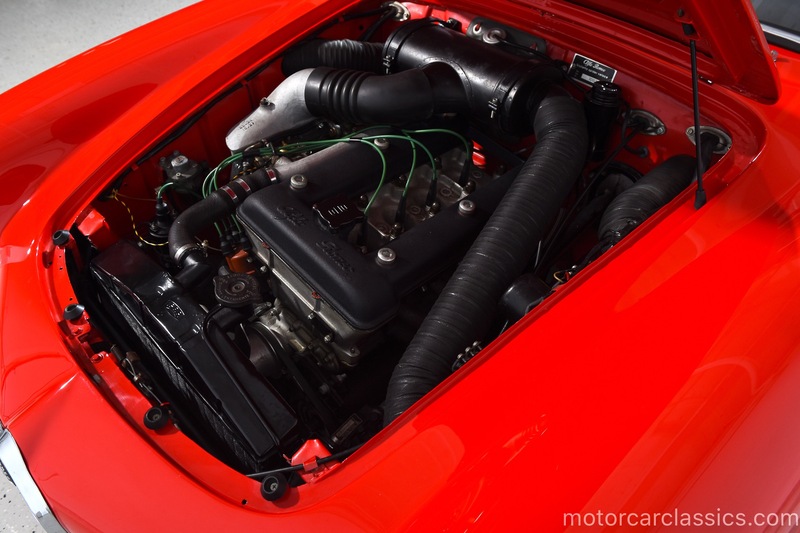 The car is in the 750F Spider Veloce Register with motor no. 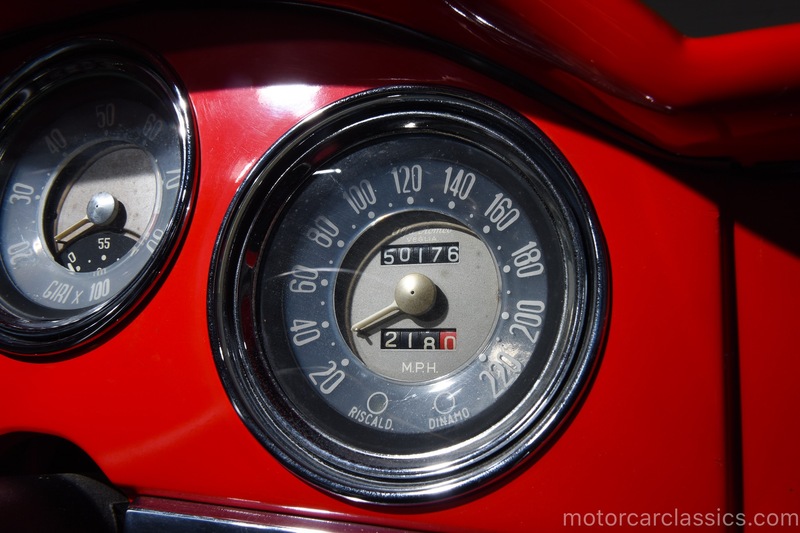 1315.01370, which was in the car before being acquired by its last owner. 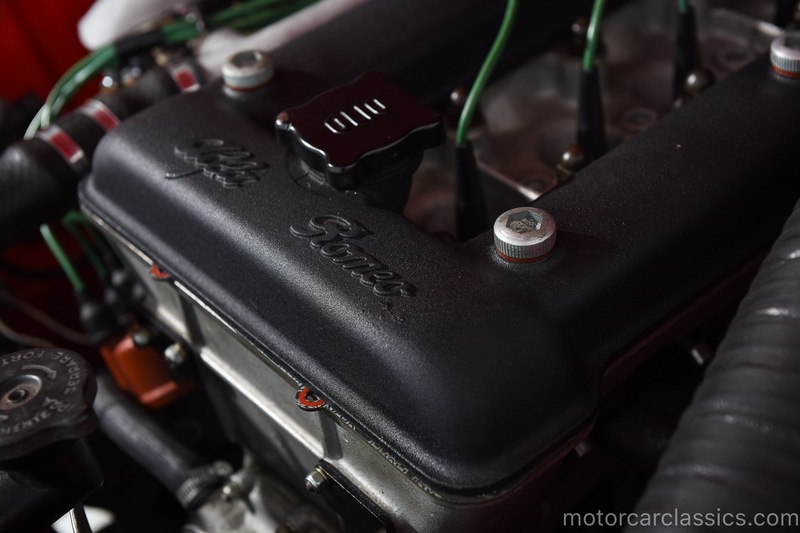 This motor is not the tipo 00106 as originally fitted, but it is a 1959-60 contemporary block that is fitted with twin 400COE27 Webers as per the Veloce configuration. 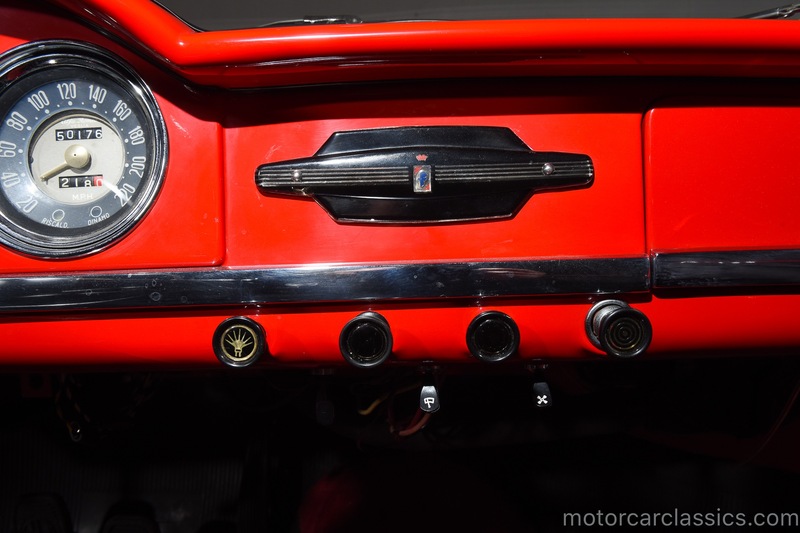 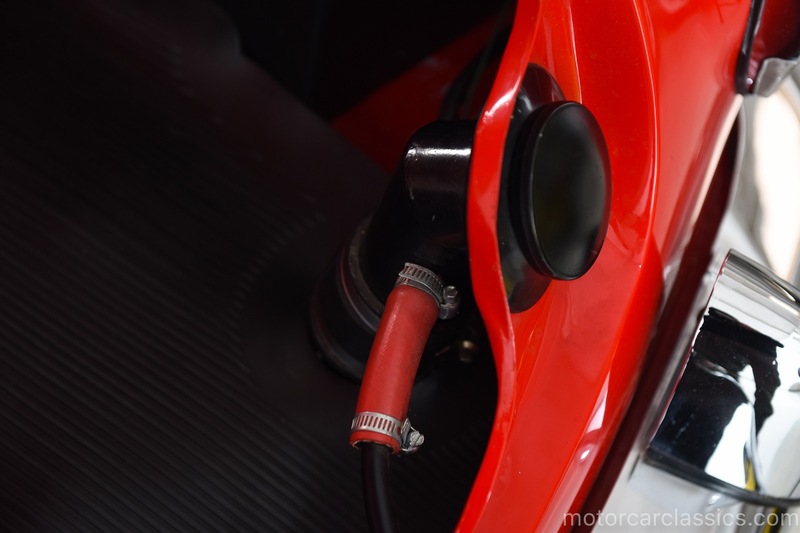 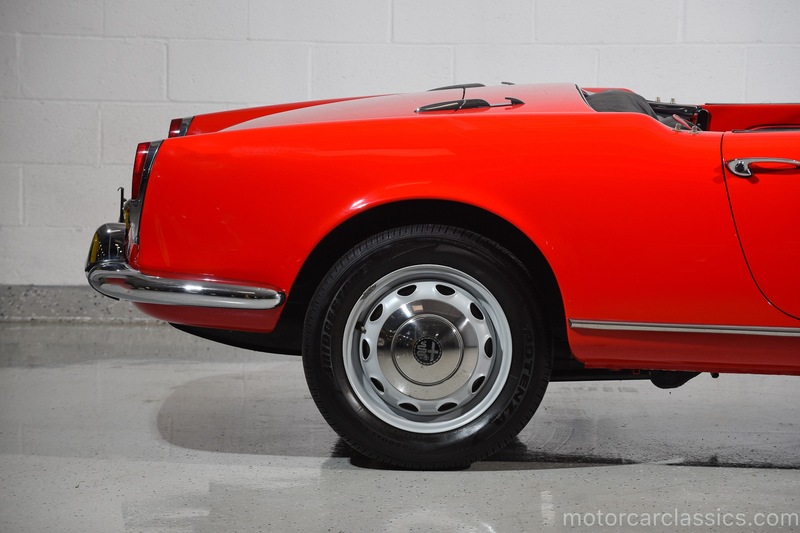 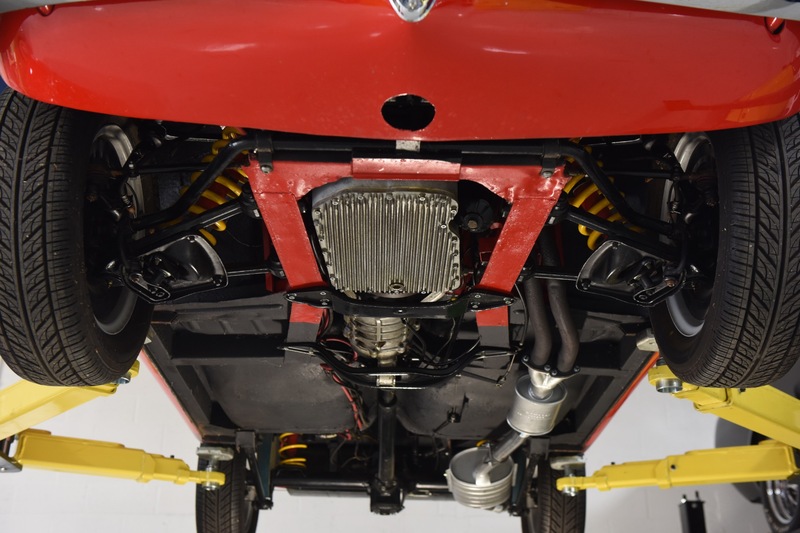 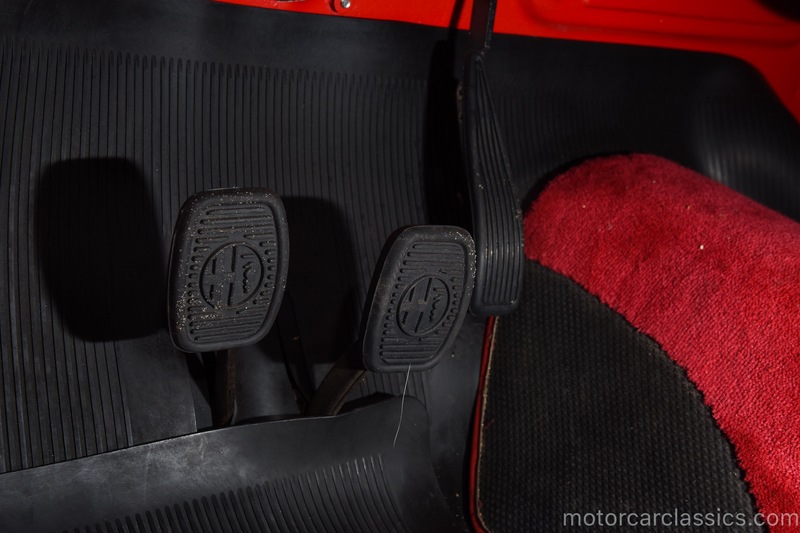 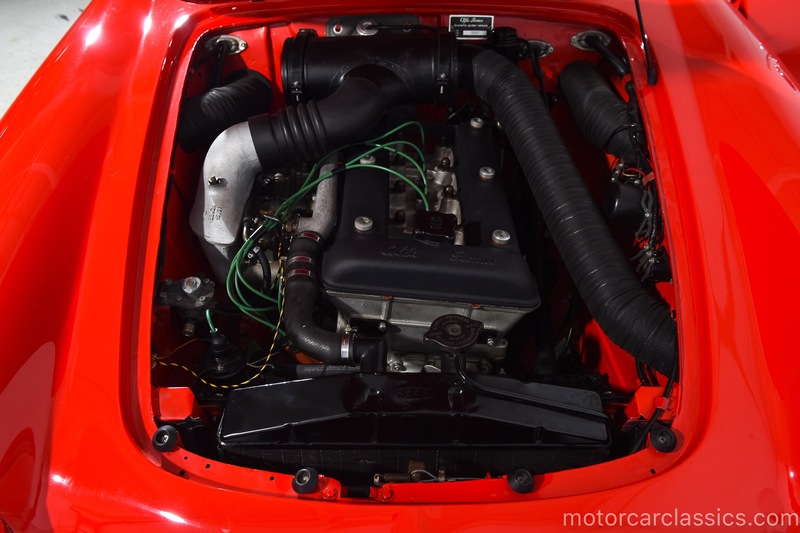 The engine is strong and the car is both fast and agile on the road.This Alfa is immaculate from the top or the bottom and is highly recommended.